Our July set menu has arrived! With Wimbledon well underway there was only one choice for our star ingredient this month, sweet and juicy strawberries. Bursting with flavour this British favourite is wonderfully versatile. 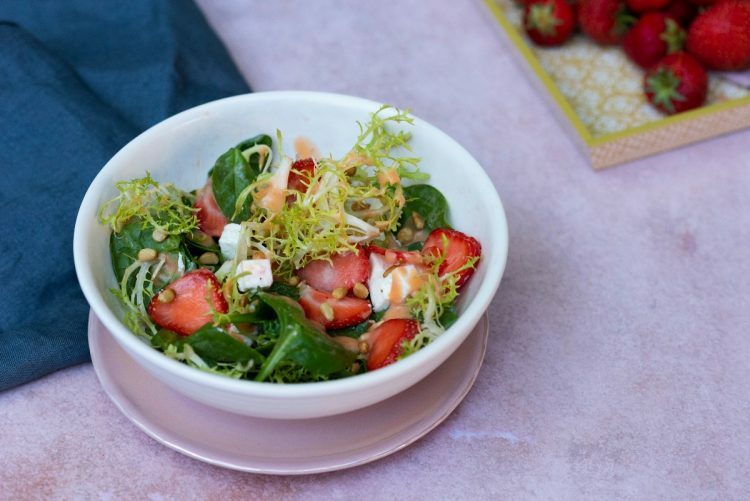 Try our feta, spinach & strawberry salad with strawberry vinaigrette for a light & tasty starter. Then choose from our range of interesting & flavoursome mains and finish with a classic… Strawberry Fool! We love this creamy, indulgent dessert which makes a change from the more traditional strawberries & cream served at this time of year. As always our sensational set menu is fresh, seasonal, home-cooked and available now. View the full menu and book your table now. Get in touch – To share your thoughts on our new set menu, tips & tricks about how to use this versatile ingredient, or just to share the love, like us on Facebook, follow us on Twitter & Instagram and use the hashtag #SeasonalStar to get involved.